Are you looking for a reliable fungicide supplier? Awiner is your best your choice. You will check the list of popular fungicide here. Our products offer a wide variety of fungicidal benefit for control of crop diseases. Some hot fungicide product include: Copper oxychloride, Copper hydroxid, Difenoconazole, Iprodione, Tebuconazole, and other 20+ fungicide products. You will easy to know different of fungi if you need with help of our corp protection expert. Our pesticides fungicides support team can help you with different pesticides sourcing from china. If you want to know all about fungicides then you probably need to read this article which talks about the different kind of fungicides and their application in addition to a conclusion at the bottom of the article which concludes the article’s main points in a short and clear sentences. Inside the article, you will find the meanings and description of what a fungicide is and the different kinds of fungicides and their application too, so hold tight and start reading and you might get something. A fungicide is a specific kind of a pesticide that is mostly used to control or inhibit the growth of fungi in agricultural plants and crops which can lead to an economical growth. Most fungicides are made up of very toxic ingredients in which at most are sulphates of copper so please be very protective when you get near these chemicals. You probably noticed that most fungicides are in a form of liquid in which they contain 90% Sulphur which is an extremely toxic chemical. Some fungicides are made up of natural chemicals which are less toxic than their synthetic counterparts. 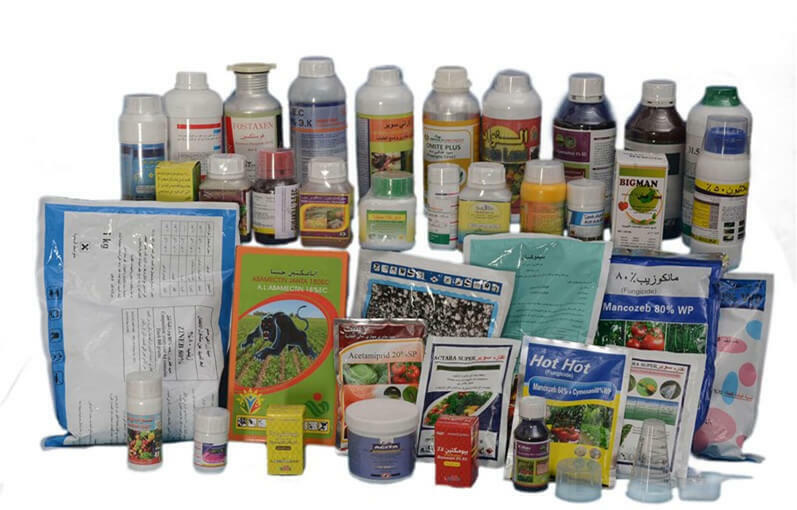 Neem oil, jojoba oil, rosemary oil are some natural oils that can be used to make fungicides. Fungicides can also contain microorganisms that feed on fungi Some common example include bacilius subtills and ulocladium oudemansil. Some fungus developed resistance against certain types of fungicides but new kinds of fungicides are made everyday to avoid this problem. Fungicides are divided based on many characters but we tried to put only the characters that matter the most. We tried to classify fungicides Based on their action and based on the way of using them. You are probably more familiar with these kinds of fungicides than any other kind of fungicides because these kind of fungicides are the most popular kind of fungicides in the market and they account more than half of the total number of fungicides out there. What these fungicides really do is that they kill the fungus before they go through the stem and infect the tissue of the plant. These kind of fungicides are not necessarily there to kill the infection that has already infected the plant, however ,these kind of fungicides are useful before the fungus penetrates inside the plant tissues. Contact fungicides only protect the areas of the plant where the spray is deposited, it means other areas of the plant that haven’t get sprayed by the fungicide may suffer from fungus infection. Contact fungicides remain on the surface of the leaf and stem of the plant to act as a shield to the plant from getting any fungus infection. These fungicides are mostly used to prevent foliar diseases. These kind of fungicides are the opposite of contact fungicides in which they protect the plant inside its tissues while the contact fungicides protect the plant over its surface. Systematic fungicides are absorbed by the plant once they are sprayed, but however , these kind of fungicides doesn’t go far from the point where they have been sprayed so you need to reapply the fungicides many times for perfect results. Compared to the contact fungicides, systematic fungicides are more effective and safer to use, they also can be good solution for already infected plants in which they work by killing fungus inside the plant. In order for these fungicides to work effectively you need to make sure that the plant is active “which means if it is alive or not” otherwise the fungicide may not circulate all over the plant which can lead to the failure of controlling of the diseases in some parts of the plant. These kind of fungicides are these kind of fungicides that prevent the pathogen before its establishment, which are considered some of the best solutions for crops. You must be aware that Preventative fungicides only work if they are already inside the plant before the infection occurs. After been applied these fungicides work as a chemical protective barrier and prevent any infection or pathogen that approaches the plant. Curative fungicides cure the plant after the infection has already occurred inside the plant. They are more like the systematic fungicides and you must only use these fungicides if the infection has already find it’s way inside the plant. For the best results, You must apply the fungicide 24-72 hours after the infection has occurred. These fungicides work by preventing the fungus from producing spores or just decrease the spore production. Be aware that these fungicides doesn’t stop the already grown pathogen but what they really do is that they inhibit future development of the fungus by preventing the production of spore. Eradicant fungicides cure the plant by preventing the already established infection from developing even further. however what makes it different from the curative fungicides is that the curative fungicide only cure the plant if the infection hasn’t already show any symptoms while the eradicant fungicide cure the plant even after the infection showed symptoms of illness. So in short we have categorised fungicides in to small parts based on broad categories which are based on their action & usage but however inside these categories there are many more kinds of fungicides that we couldn’t stuck inside just because of space shortage but indeed we have stated the vital ones and I believe that next time someone brings up the name fungicide you react totally out of confusion.